Manchester City striker Sergio Aguero could be a surprise inclusion in their squad to face Stoke City in the Premier League on Saturday two weeks after breaking a rib in a car crash in Amsterdam, manager Pep Guardiola has said. The 29-year-old missed City’s 1-0 win over champions Chelsea and both of Argentina’s recent World Cup qualifiers but has returned to training with the Manchester club’s first team. 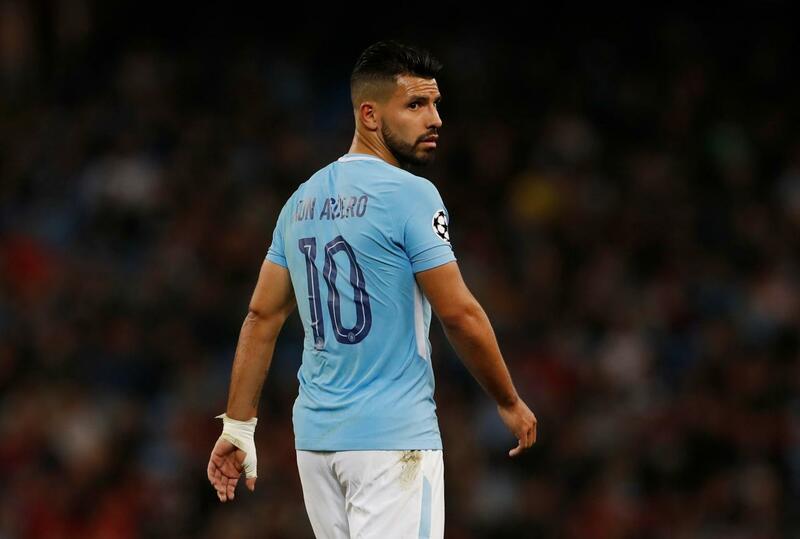 Guardiola said Aguero, who has scored six goals in six league games this season, was not fully fit yet but the coach added that he was happy with the striker’s progress. “He did his first training session after what happened,” Guardiola told a news conference on Friday. “He did it quite well. Hopefully, as soon as possible he will be back. “Maybe (he can play against Stoke). Today, in the last training session, we are going to see. He is not 100 percent but he recovered quite well. “Back to training. I am ready!” Aguero said on his verified Twitter account, alongside pictures of him and his team mates in action during Thursday’s session. City will be without skipper Vincent Kompany, who is still recovering from a calf injury picked up playing for Belgium in August. Premier League leaders City, with six wins and a draw, are looking to extend their unbeaten run, while visitors Stoke are 13th with eight points from seven games.